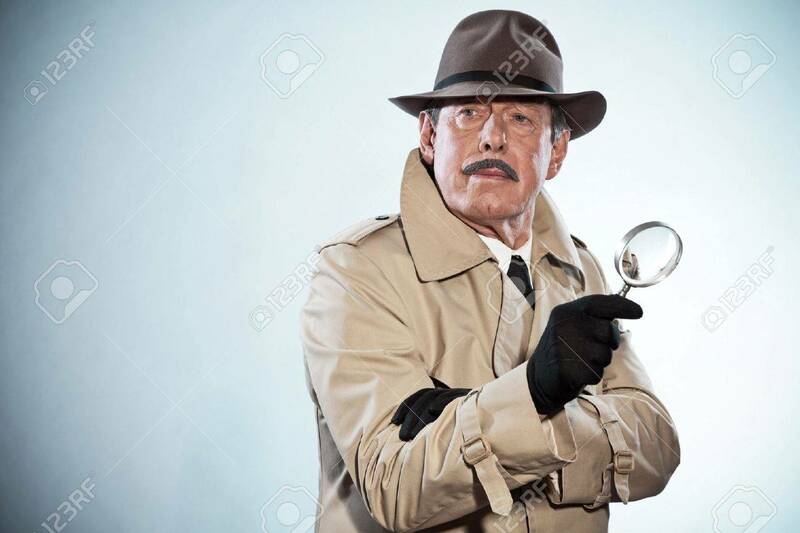 Retro Detective Man With Mustache And Hat. Holding Magnifying.. Stock Photo, Picture And Royalty Free Image. Image 20571375.